This our 24 serving size! 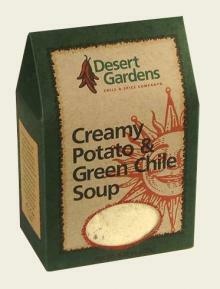 Our hearty Green Chile Stew is the essence of the Southwest – thick with only the best of New Mexico’s green chiles, select potatoes, garden vegetables and our signature Desert Gardens spices – just add water, simmer and serve! Try adding cooked chicken, beef or pork while the stew is simmering, then top off with shredded Cheddar or Monterey Jack cheese – simply delicious! This product does not contain peanuts, tree nuts, milk, eggs, fish, or crustacean shellfish. Dehydrated Potatoes, Corn Starch, Corn, Wheat Gluten, Soy Protein, Chicken Broth, Salt, Green Chile, Mixed Vegetables, Onion, Turmeric, and Natural Flavorings. Add chicken, pork, or beef. Top off with cheddar cheese. 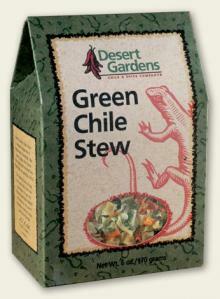 Serve with Desert Gardens Green Chile Corn Bread. Makes about 24 cups of prepared soup. Store unopened package in a cool, dry place. We love this! And it’s so easy after a busy day. GREAT product that is an easy fix and tastes soooo good. 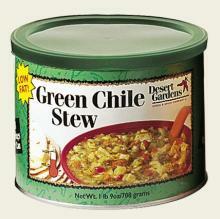 We now live in Florida and green chile products are not easily available. 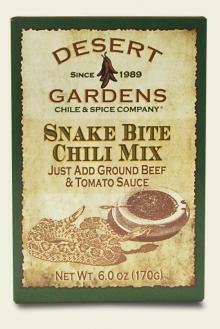 So this little taste of New Mexico chiles is just what we crave.